The cake will form the centerpiece of your reception and you will want it to taste delicious as well as look fabulous. Decide on the style you would like first. Do some research, look through magazines, books, websites for inspiration and ideas. You will soon see just how many possibilities there are. Think about the flavours of your cake. If it is tiered you could go for a different flavour for each one, or choose a tower of differently flavoured cupcakes. How should your cake be decorated? Will it have a theme or certain colours to coordinate with the rest of your decorations? Make sure your cake is big enough to serve all your guests and save some for those guests who were unable to come. If it will serve as dessert the portions will need to be more generous. 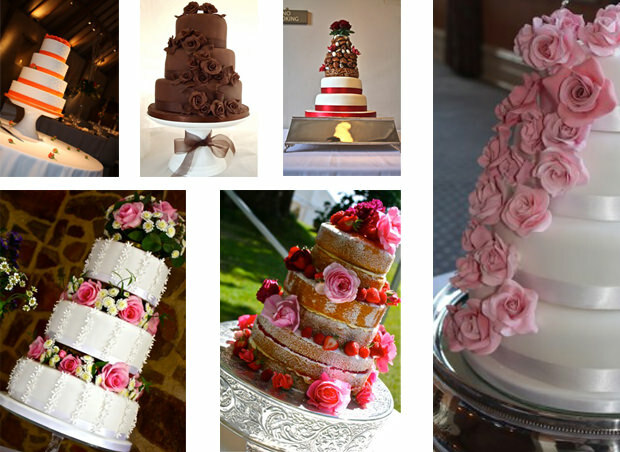 You may also want to send some cake as a ‘thank-you’ to people who have helped you organise the wedding. Display your cake on its own decorated table with a good background for photographs – it will be the first thing the guests want to see as they arrive at the reception. When it comes to cutting the cake decide in advance who will cut the cake into portions for serving to guests and don’t forget to remove inedible decorations before serving. You will be able to discuss all these points with your wedding cake supplier. They will help you decide what will be right for you and remember anything you may not have thought about. Visit them well in advance to give them plenty of time to plan your cake and have it ready for the day.